The Sun Temple is a large scale mandala worship temple. Set amongst an intimate space in the trees, this Mayan sun god structure hosts a plethora of symbolism and historical artistic design. 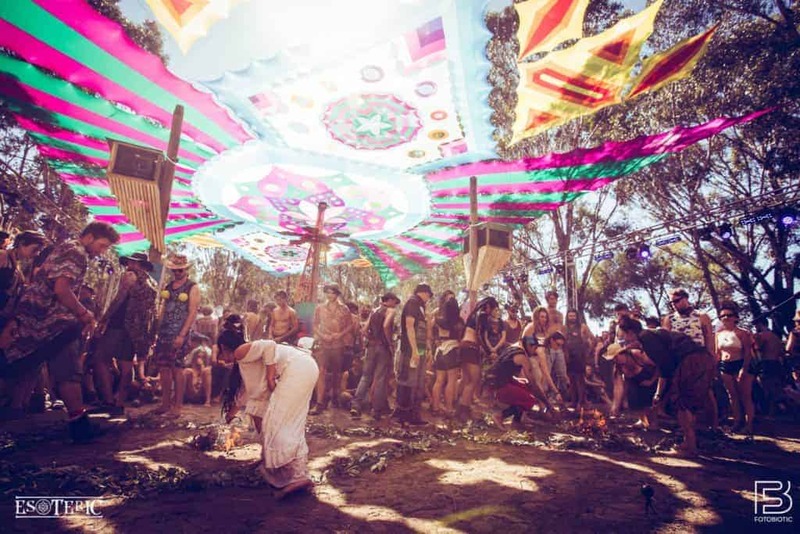 At Esoteric Festival this multi-genre dancefloor will bring you a feast of twisted bass, downtempo rhythms, techno vibrations and everything else in between. 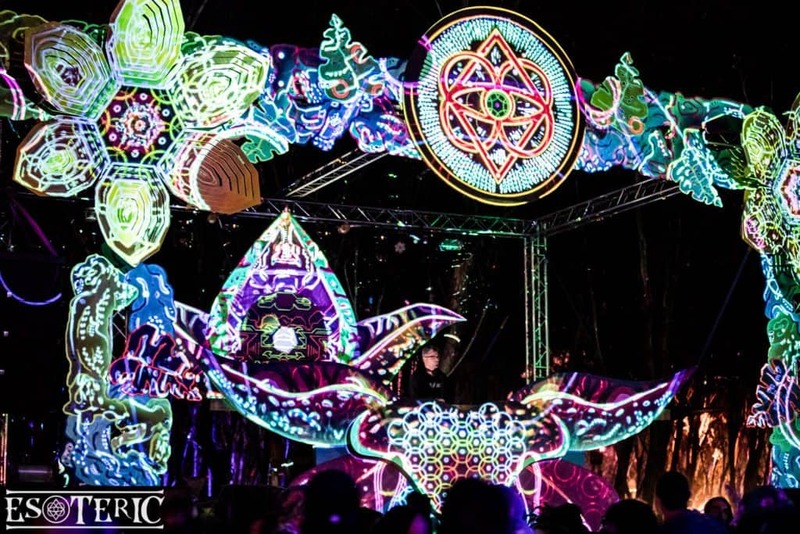 We’ll be constructing mind-bending 3D mapped visuals, an elaborate over the top light show, Mayan style decor and customised magical shady chill space.